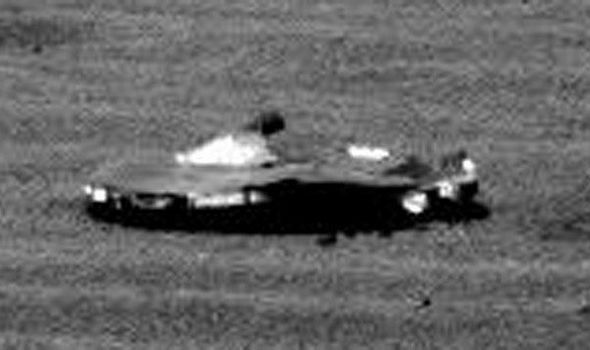 A CRYSTAL clear image taken on Mars by the NASA Curiosity Rover appears to show something artificially-made on the Red Planet, it has been claimed in a furious online debate. The high-definition image shows the rocky landscape of Mars, with ripples etched in the surface by the wind. But right in the middle of the photo is an object that looks completely different. According to viewers, the object has a smooth, possibly metallic, exterior, with some saying it appears to have lights. Some UFO enthusiasts have even jumped on the image, claiming it is an alien spacecraft, and possible proof of intelligent alien life, reports the Daily Star. There have been countless other rover pictures put forward by alien chasers amid claims they show ruins, fossils, or even live creatures on Mars, but most have appeared to be just odd-shaped rocks. he image was taken in March, but is now being discussed on Reddit. User Prosaic Origin, who posted the image on web forum Reddit, said: “Uh NASA? 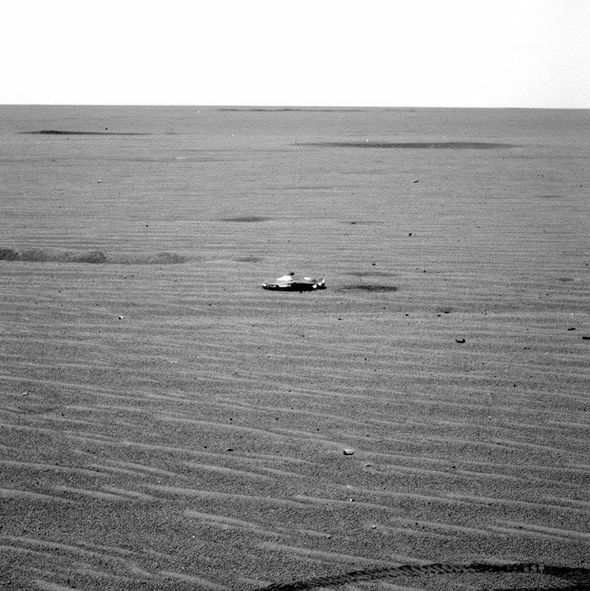 UFO caught on Mars Rover mission? Crazylegs99 said: “They forgot to Photoshop that one out.